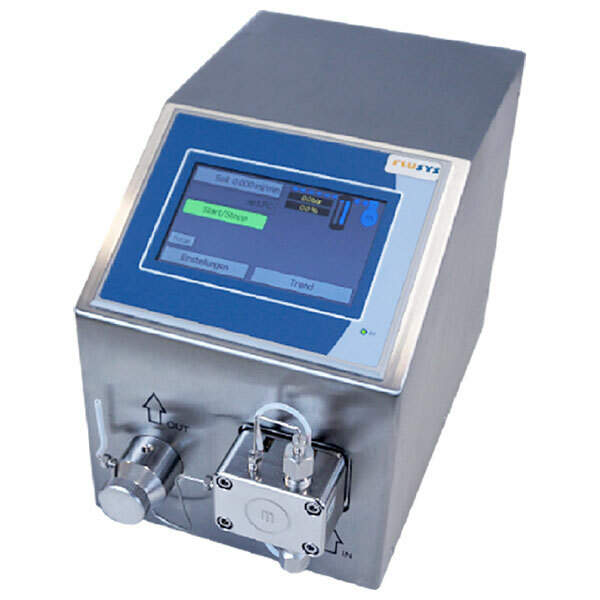 For high pressures – Dosing small amounts accurately and in a controlled manner! 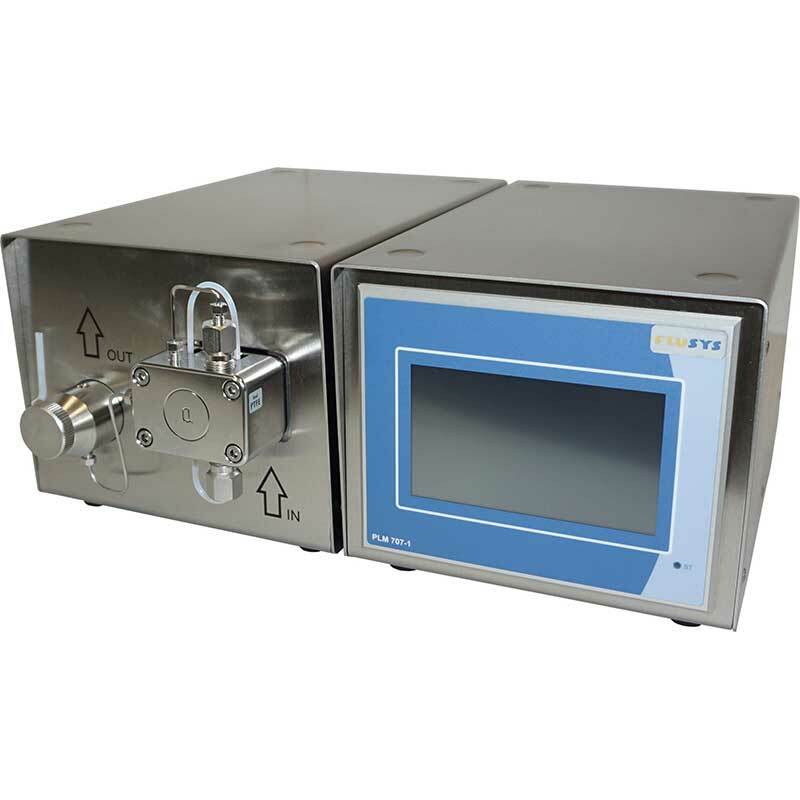 The ‘PLUS’ and ‘LITE’ versions of the WADose range are intelligent, accurate dosing pumps for dosing tasks with liquids in technical centres, laboratories, for testbeds and production. Their area of application is the dosing of very small amounts (µl to ml) in applications from atmospheric to 400 bar. The WADose PLUS is characterised by comprehensive ease of use with a touch display, trend display and integrated calibration function. The WADose LITE is operated via a user-friendly keypad with a clearly legible display. Both models can be integrated very easily into control systems. 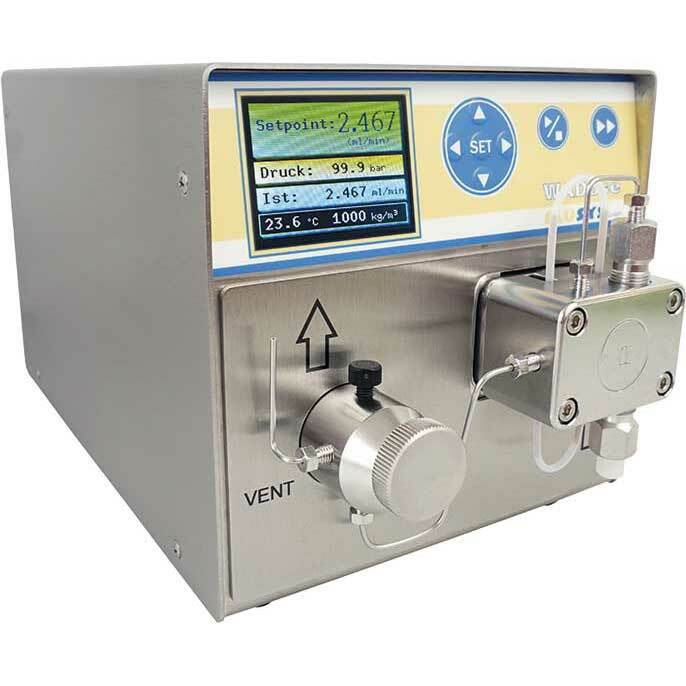 The low-pulsation dual-piston pump is controlled by an intelligent control system with a step motor that is accurate for very small step and dosage rates. The pressure ranges from atmospheric to 400 bar. 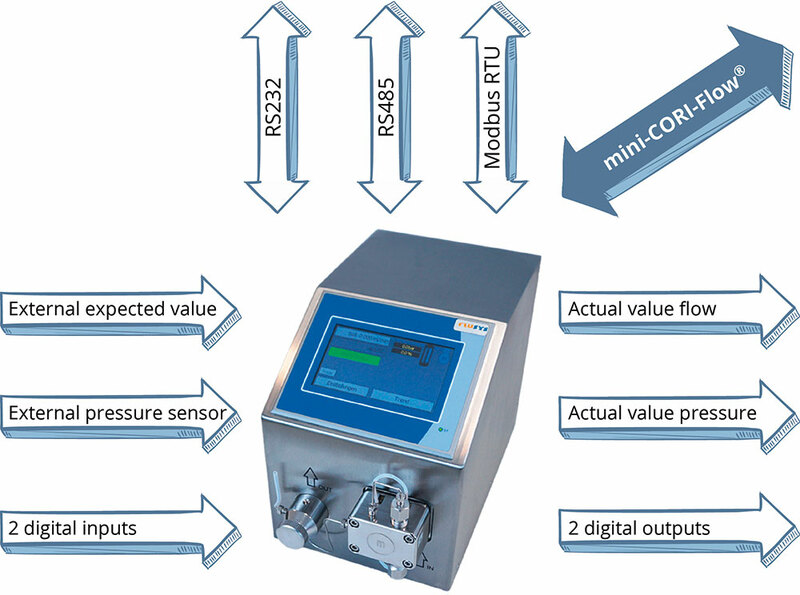 With the intelligent, optional mass-flow interface for a mini CORI-FLOW® mass flowmeter, the actual flow rate is controlled and monitored. A built-in pressure sensor can be used for direct pressure control (‘PLUS’ version) and for pressure monitoring.